Who would be victorious in an epic battle between Russia's first next-generation fighter jet, the Sukhoi PAK FA, and the US-built Lockheed Martin F-22 Raptor? It's a tough call since both fifth-generation aircraft have so much in common. 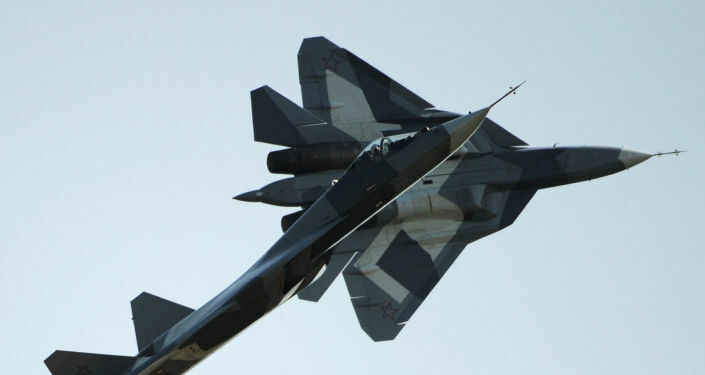 "Everything about the PAK-FA suggests that it is similar in concept to the Raptor – being optimized as a fast, high flying and stealthy air superiority fighter," defense analyst Dave Majumdar noted. The Sukhoi PAK FA, also known as the T-50, and the F-22 Raptor have equivalent maximum speed (1,520 mph for the PAK FA and 1,500 mph for the F-22), range (2,175 miles for the PAK FA and 1,840 miles for the F-22) and service ceiling (approximately 65,000 feet for both models). Majumdar maintains that both stealthy, single-seat, twin-engine multirole jet fighters are also quite comparable in terms of kinematics, particularly once the T-50 is fitted with new engines. They differ greatly when it comes to stealth and the comparison is not in the T-50's favor. "The T-50's design places far less emphasis on all-aspect low observables. Instead, it focuses on frontal aspect stealth – thus it has a so-called 'Pac-Man' signature whereas the F-22's signature looks more like a spider if one were to look at it from a God's eye view," the expert asserted. It is hard to say at the moment whether stealth will be a game changer in the aerial battles of the future but the Sukhoi PAK FA has other aces up its sleeve. "While the F-22 might be holding a better hand when it comes to stealth, the Russians have the edge in maneuverability. The T-50 is equipped with three-dimensional thrust vectoring and all indications seem to point to the PAK-FA having an edge in terms of agility," Majumdar noted in an opinione piece for the National Interest. Russia's T-50 fighter at the MAKS-2011 International Aviation and Space Show in Zhukovsky. 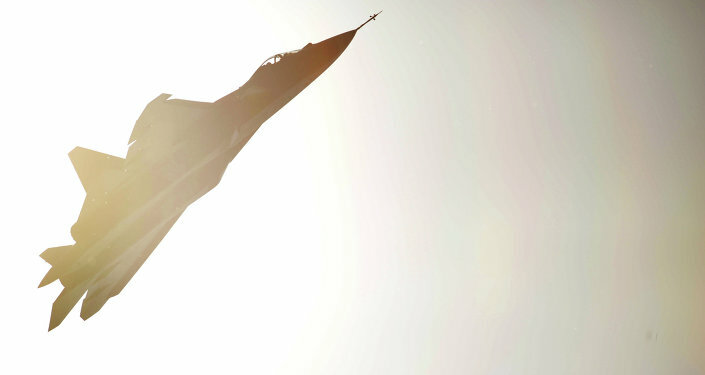 Russian first stealth fighters T-50 performs during MAKS-2011, the International Aviation and Space Show, in Zhukovsky, outside Moscow, on August 17, 2011. The bottom line is that both cutting-edge aircraft have advantages over each other and could come out victorious. Much will depend on the battle specifics than anything else. "All things being equal, if stealth turns out to be everything it's cracked up to be against a peer-level threat, the PAK-FA could be at a distinctive disadvantage. If the US Air Force's faith in stealth proves to be a fallacy, the PAK-FA holds the edge," the expert concluded. The T-50 is a stealthy, single-seat, twin-engine multirole jet fighter designed for air superiority and attack roles. The Lockheed Martin F-22 Raptor is a single-seat, twin-engine, all weather stealth tactical fighter aircraft designed primarily as an air superiority fighter. It has additional capabilities including ground attack, electronic warfare, and signals intelligence roles. The Raptor has been in service since late 2005. The T-50 is in the flight testing stage and is expected to be commissioned in late 2016.